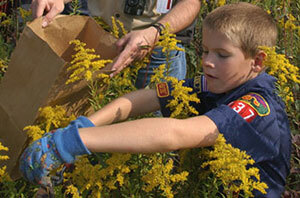 Two-hour badge sessions are available for Girl, Webelo and Boy Scouts. Most or all of the requirements will be completed while the group is at Fermilab. Fermilab pins ($3.00/ea.) and patches ($1.50/ea.) are available for purchase. Registration is now open for 2018.